40 Percent Of The 2019 Oklahoma Legislature Will Lack Political Experience. Should We Be Worried? 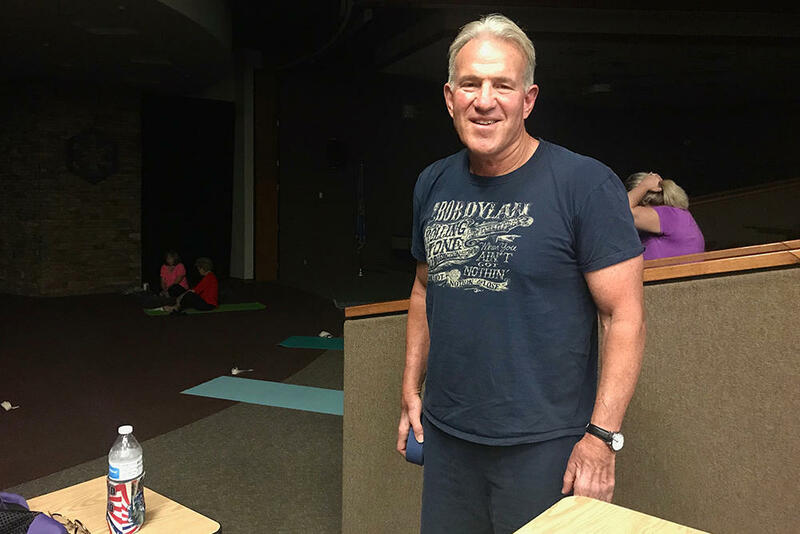 House District 101 candidate John Carpenter prepares to teach yoga at the Eastern Oklahoma County Technology Center on Sept. 26, 2018. John Carpenter is a yoga instructor in Choctaw. He previously worked as a probation officer, and before that he owned a construction company. And Carpenter recently organized his community’s opposition to the Eastern Oklahoma County Turnpike. Now Carpenter’s trying something new once again. He’s campaigning as a Democrat to be House District 101’s next state representative. Carpenter said his lack of political experience could make him a better, more effective legislator. 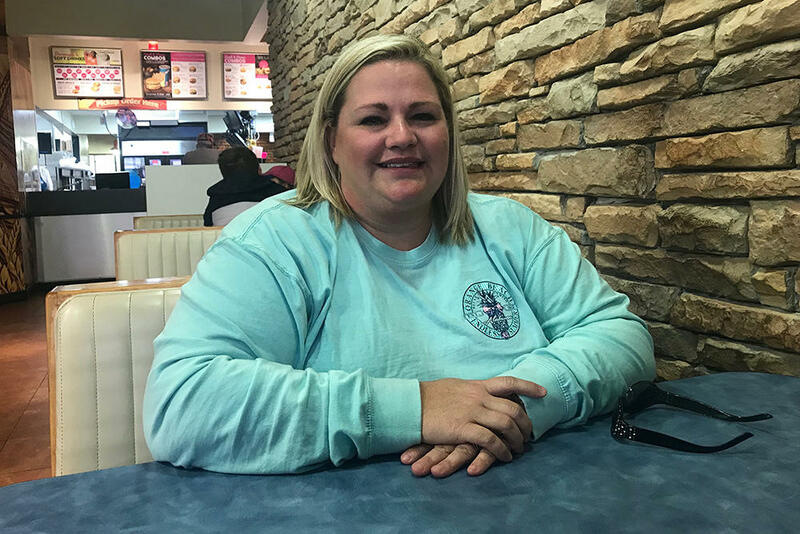 Fourth grade teacher Kari Cruzan sits at a local Braum’s in Choctaw on Sept. 26, 2018. Kari Cruzan, a resident of House District 101, also sees value in electing newcomers. “Not already being a career politician, for me, is a benefit,” Cruzan said. 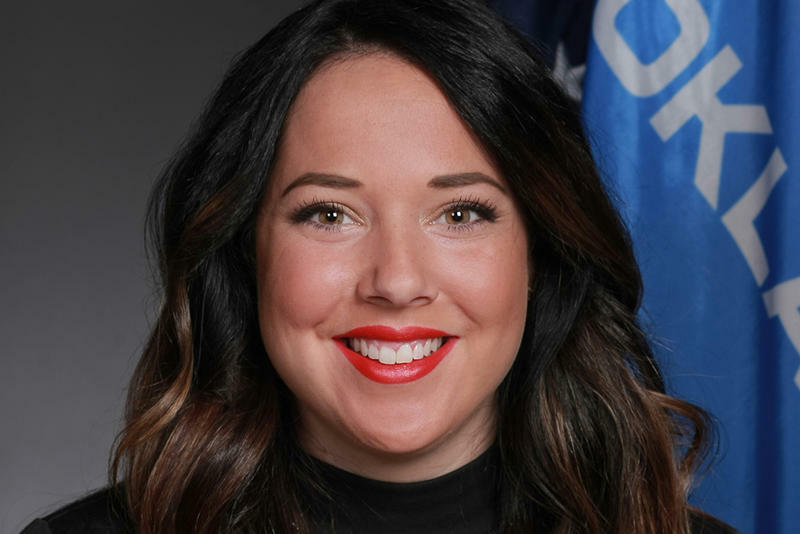 Cruzan teaches fourth grade in Choctaw, and her frustration with current representative, Republican Tess Teague, peaked when Teague voted against increasing taxes to fund a teacher pay raise. Cruzan campaigned for Teague’s primary opponent, Robert Manger, another candidate who has never held elected office. Manger defeated Teague in the Aug. 28 primary runoff. “He [Manger] seems untainted, if you will. And, he seems as though he wouldn't have too many people on his shoulder telling him what to do,” Cruzan said. But, even if her candidate loses, Cruzan says she’s just happy to have new representation. “With having our incumbent out, I don't see where we can go anywhere but up,” Cruzan said. Voters in HD 101 are not alone. More than 40 percent of Oklahoma’s incoming class of 149 legislators are guaranteed to be new to the office, and most have never served as elected officials. That percentage could be higher if more incumbents are unseated in the Nov. 6 general election. And, even if the remaining incumbents do hold onto their seats, more than 60 percent of Oklahoma’s lawmakers will have two years of legislative experience or less due to term limits. Are there any downsides to this collective lack of experience? Legislating, after all, isn’t easy. Newcomers will have to learn to write bills and push them through the legislative process, understand complex topics like tax policy and government finance and navigate intense political pressures from party leadership, constituents and interest groups. “Turnover, you can argue, is... it is a two-edged sword,” said Richard Johnson, a political scientist at Oklahoma City University who has researched the effect of term limits on the effectiveness of Oklahoma’s Legislature. Another concern, Johnson said, is increased power among unelected staff members. After discussing all the pitfalls of sending a bunch of inexperienced legislators to the state capitol, Johnson cracked a smile. In other words, underneath this desire for politicians without political experience, is new participation— more Oklahomans are getting involved in local politics. 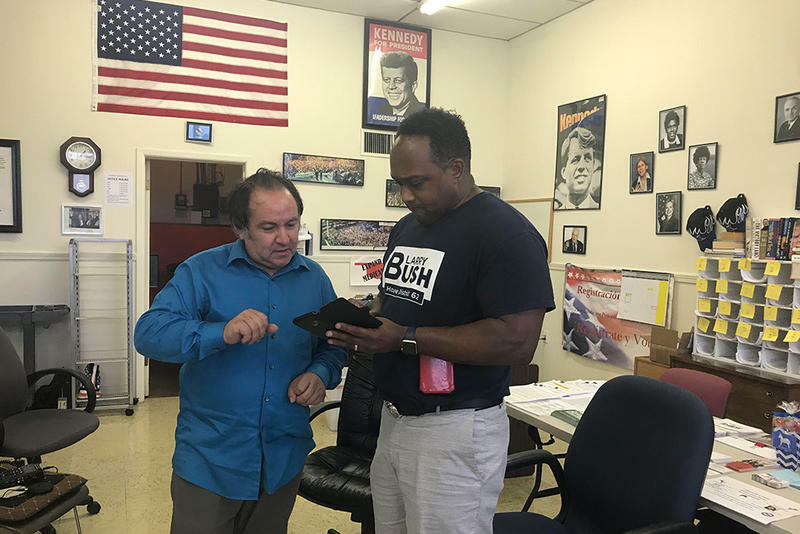 Mike Couke runs the Comanche County Democratic Party out of a one-room office nestled between a laundromat and a barbershop in Lawton. This year, he’s focused on training local Democrats to make better use of voter lists ahead of the general election. “The best way to reach voters is to knock on doors. And that's one thing the list gives you is physical addresses,” Couke said. Larry Bush, a Democrat running for Lawton’s House District 62, sits next to him. He’s running for a second time after losing in 2016. 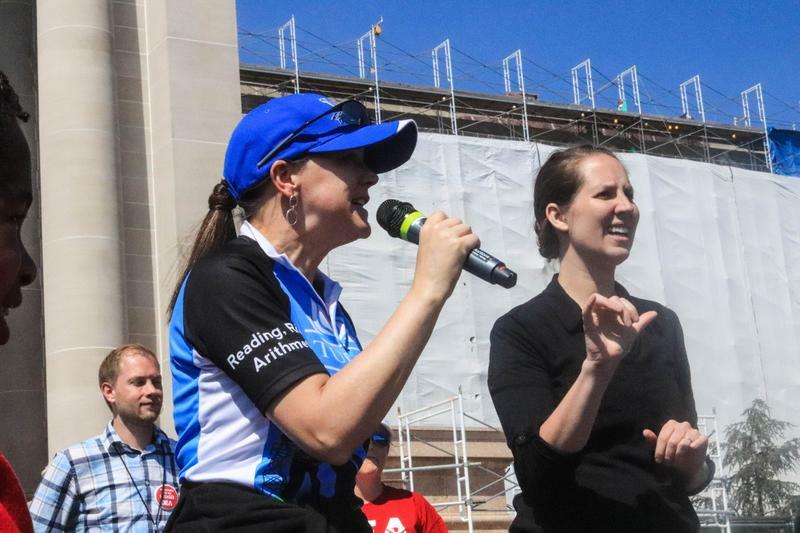 Deborah Gist cried as she stepped across the small stage in front the Oklahoma State Capitol. The Superintendent of Tulsa Public Schools and a group of educators had just finished a 110-mile walk from Tulsa to Oklahoma City to highlight their fight for more school funding. It was the seventh day of Oklahoma’s teacher walkout, and thousands of supporters rallied to greet the group as it finished the final mile. An Oklahoma lawmaker took to the social media app Snapchat this week to vent frustration with demonstrators at the state capitol. Rep. Tess Teague of Choctaw claimed the demonstrators urging a rate increase on oil and gas production tax were paid and uninformed. In the video, the 27-year-old Republican used a Snapchat filter showing her wearing cartoon animal ears and speaking in a high-pitched voice.